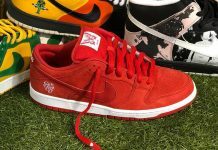 Rukus x Nike SB Dunk Low "Crawfish"
Nike SB Dunk Low “Lobster” Fans are able to add another crustacean inspired sneaker to their collection, with the upcoming Rukus x Nike SB Dunk Low “Crawfish”. 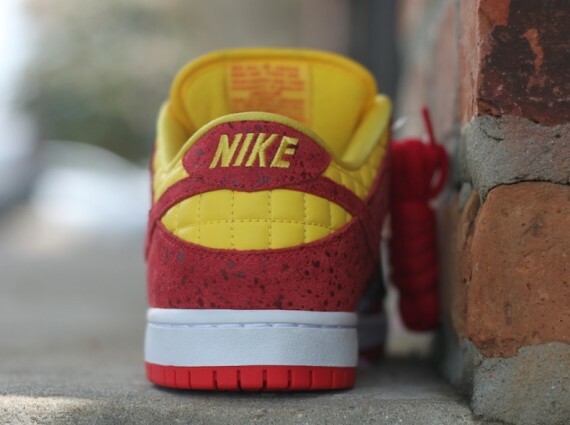 The Dunk Low features quilted patters on the heel in yellow, while red speckled panels don the rest of the sneaker. 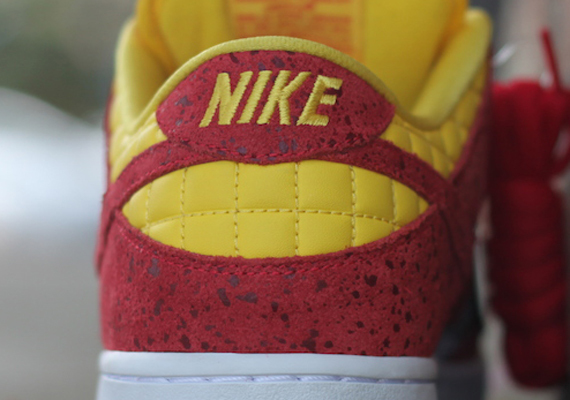 Catch these on August 16th, 2014.